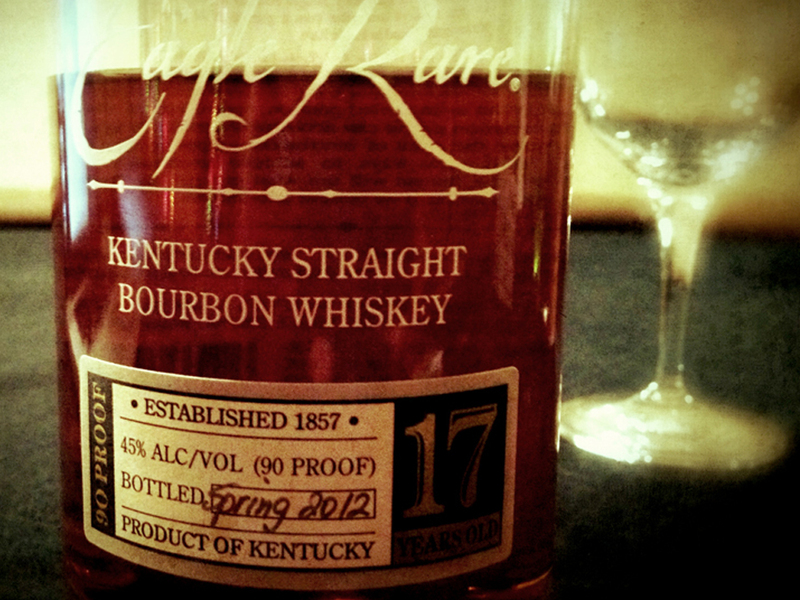 Eagle Rare 17, part of the Antique Collection from Buffalo Trace, I won a sample and was then invited to take part in an online discussion and these are my notes after spending sessions with it. Nose. Tobacco and leather are all over this, lots and lots of oak, dryer on the nose than a lot of bourbon I’ve tried, it’s older so I guess it would be different. All Spice lingers in the background, vanilla and marzipan open up, I added a drop, and I mean a drop of water to this which I thought brought out the vanilla and marzipan and a touch of cinnamon too. Palate. A little bit of vanilla and oak, that traditional bourbon flavour but it opens up after a while in the glass. cereal and honey and more of that tobacco, this would go well with a cigar or pipe if you’re into that sort of this, a little peppery note no doubt coming from the barrel. Finish. A relaxing dram, easy to drink, as bourbon should be, one of those whiskies with enough going on to enjoy without it being overwhelming, a dram that’ll bring a smile to your face, as they all should. I’m a fan of the Eagle Rare 10 so it was nice to compare, I’ll do a comparison when I get around to opening the 10. Thanks to the Buffalo Trace team for sending me the sample plus the wee booklet, I do like a wee booklet.